Baste like a pro with our Aspire™ Silicone Basting Brush and Bowl. 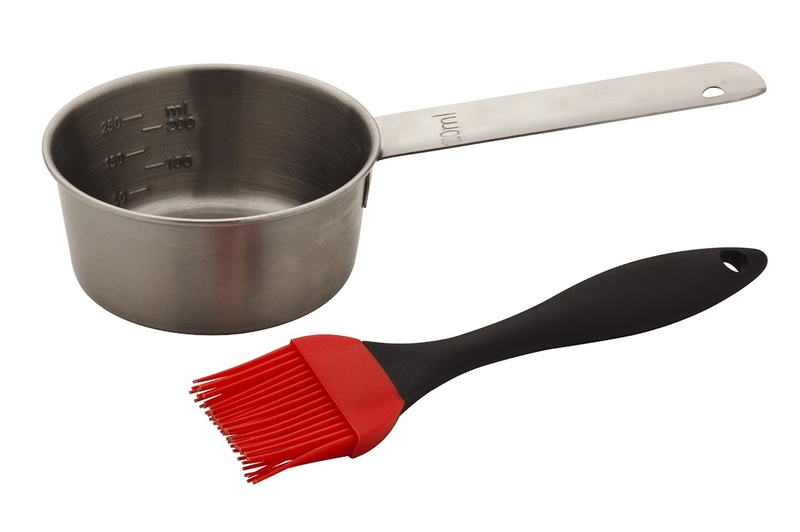 The silicone basting brush bristles are designed to hold sauce and resist heat while the handle rests easily on your saucepan. The stainless steel bowl holds up to 1 cup of sauce and is easy to clean. The Aspire™ Silicone Basting Brush and Bowl is the perfect tool for your grilling needs.